LT Art Studio Onepage is free photography website template in One Page Joomla version that is oriented to art design galleries, studio to showcase and promote their product widely in an attractive way. 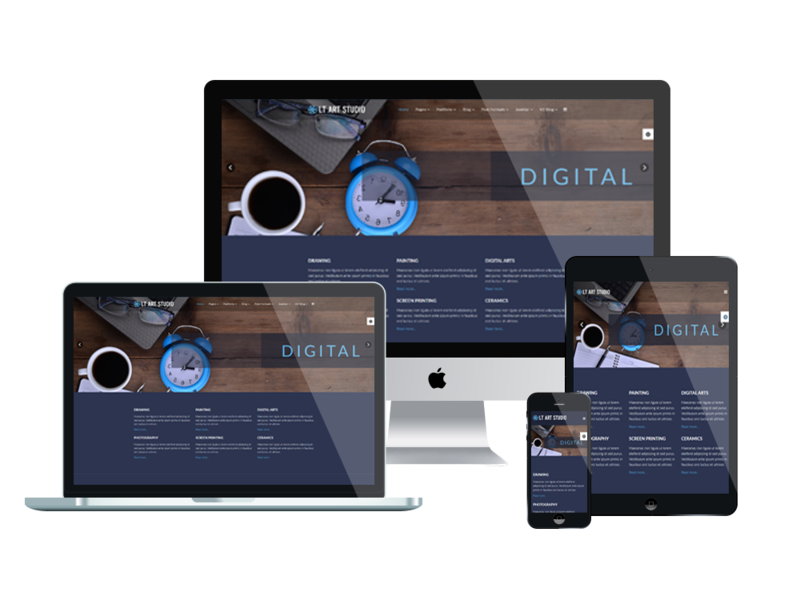 This template shows itself well on all kinds of mobile devices with 100% responsive of One Page style. Besides, it is entirely equipped with 6 customizable colors schemes, drag-drop tools, and color settings to help you modify template without any obstacle. 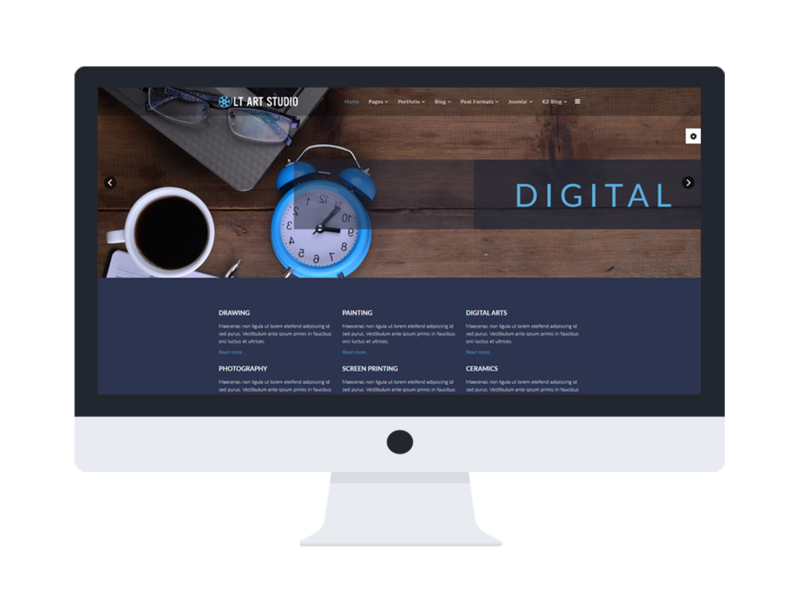 Make your galleries/ studios impressive than ever with LT Art Studio Onepage now! 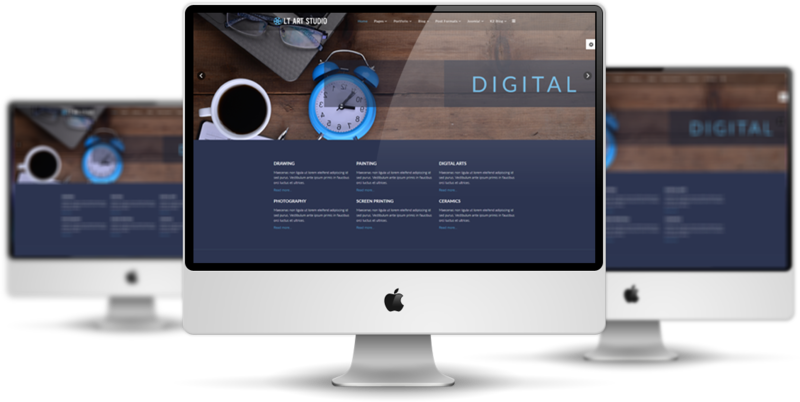 You also use Premium Art Studio Joomla template if you do not like One page version. LT Art Studio Onepage supports mobile devices with responsive layout. 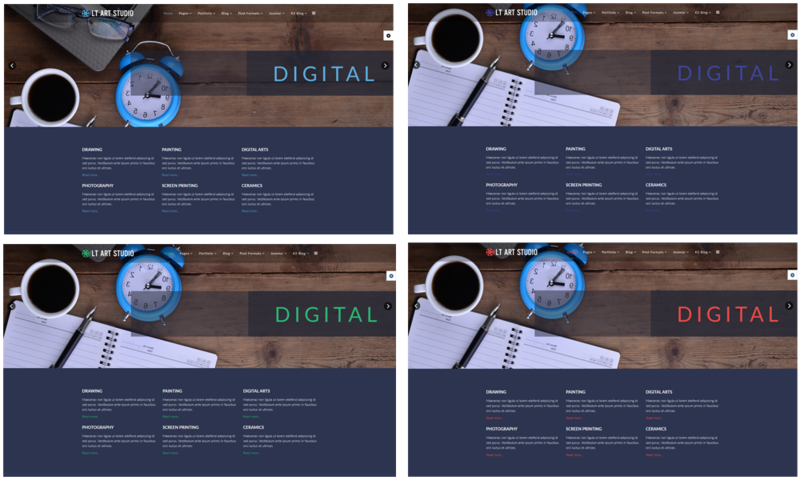 The template framework with strong shortcodes, unlimited module positions, and easy to drag-drop layout content.